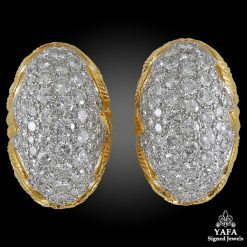 An 18k gold ring of bombé design, set with an opulence of luminous brilliant-cut diamonds and star-shaped designs, size 50. 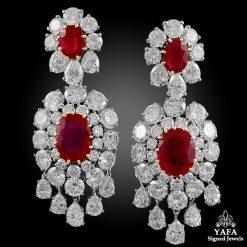 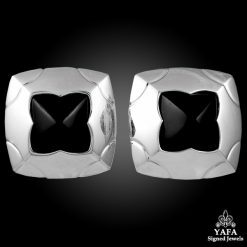 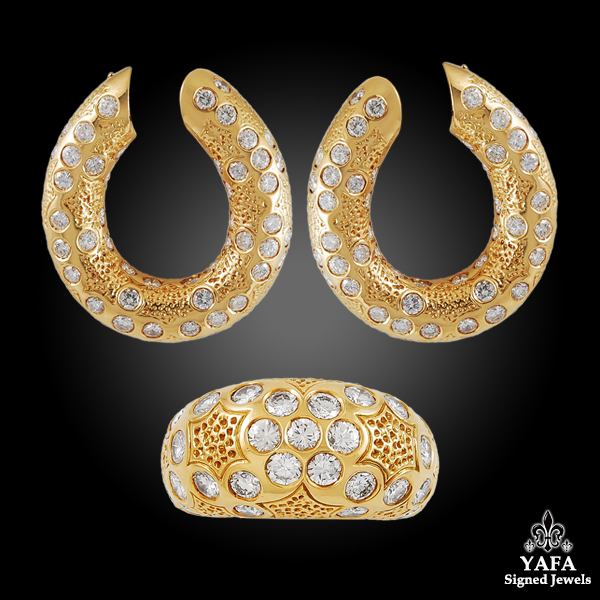 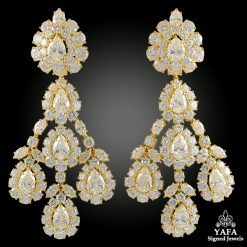 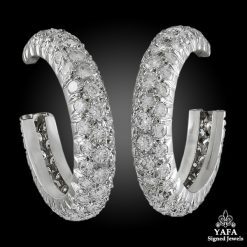 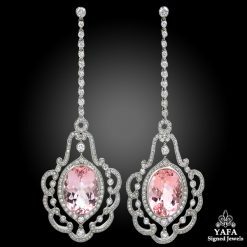 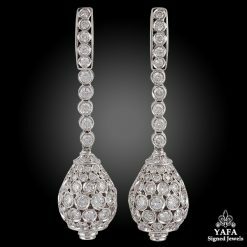 The ring is accompanied by a pair of 18k gold and diamond earrings with dimensions measuring approximately 1.5″ x 1.3″, post, and clip fittings. 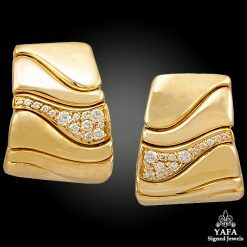 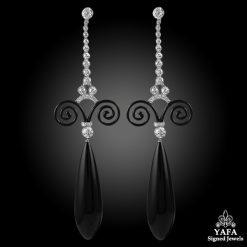 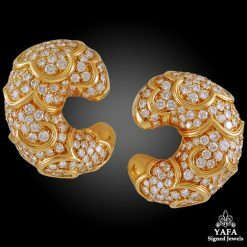 Each piece from the 1980’s and signed Van Cleef & Arpels, French assay marks for gold and maker’s mark.metal – 18k gold.